When British type designer Matthew Carter said, type is a beautiful group of letters, not a group of beautiful letters, he was highlighting how typefaces work. He was preaching to the budding designers that types work in context and not individually as letters. How many typographer review their works keeping that advice in mind? Very few. And that is not the sole advice. In fact, there are numerous things to learn in the vast field of typography. 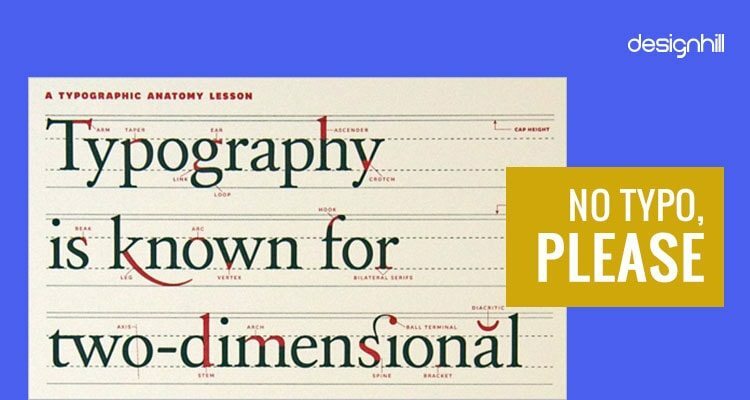 Simply put, typography is the art and technique of arranging type and is considered to be one of the central skills of any designer. 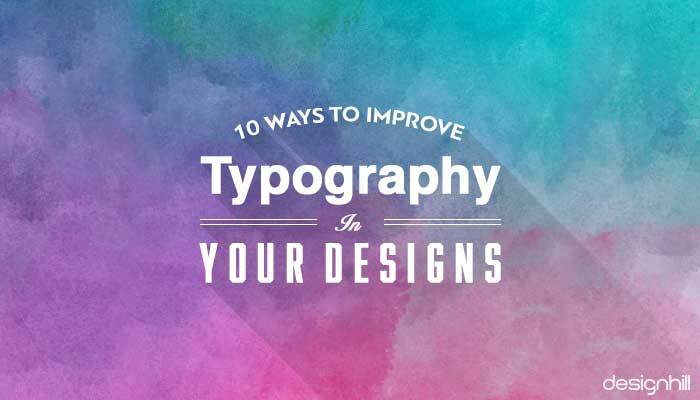 Many designers, even who are working for years, consider just the font size and font typeface when it comes to improving the typography. However, there is much more to it and one should pay more attention to detailing so as to outdo a regular design. Learning the details of Photoshop typography tutorial gives the designer complete control over any design. 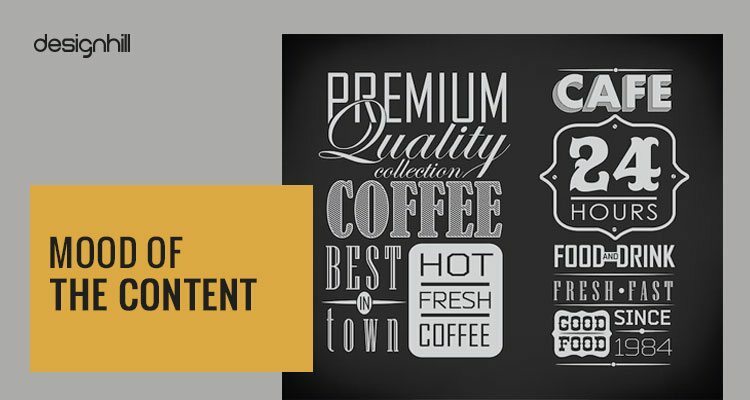 To create beautiful and consistent typography, the below mentioned details can be applied across different types of media. Choice of typeface along with the layout, grid, design theme and color checks makes the difference between a good, bad and excellent design. For beginners, there are many typography tutorials available online, but at the end of the day, it depends on the best of your creative intuition capacity. Of the array of paid-for and free fonts palettes, get ready to create something out-of-the-box. This might not be the best of the element to look for to make your design better per se, but designers have been using the same few fonts over decades now. A long measure sometimes disrupts the pulse of the design as it becomes difficult for the audience to go to the next line of type. Optimum readability comes with 40-80 characters’ measure inclusive of the space. A single-column design is best done with 65 characters. Using Robert Bringhurst’s method, calculate the measure by multiplying the type size by 30. Ever wondered why one font looks more attractive than the other does? Or, why do you think there is a favorite font which is most often used in your design irrespective of the content? 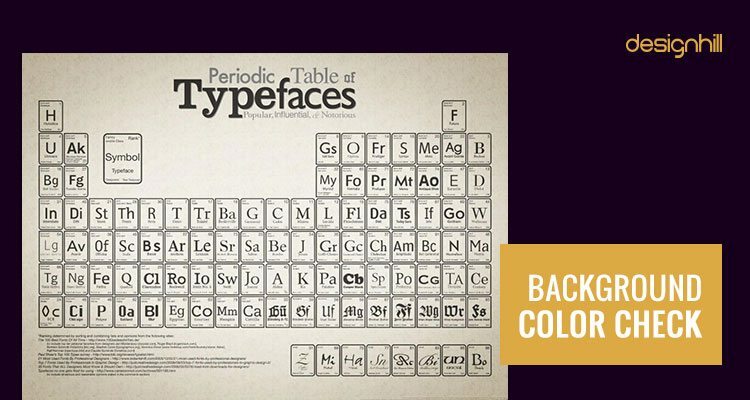 This is because every typeface owes its own personality matching it to a certain mood. It is wrong to consider any font as one-size-fits-all. Brainstorm some of the characteristics that you want to convey through your design. It is possible with the content planned out much ahead of deadline so that you can match the typography fonts with the tone of the text. To quote Eben Sorkin, the famous type designer, “each typeface has its own voice. This voice influences how we feel about the text we’re reading, but also how we’re able to absorb and process information.” For instance, minimal type treatment for back-to-the-basics product, vintage type combination for a product with yesteryear recipe is some well-communicated typography. 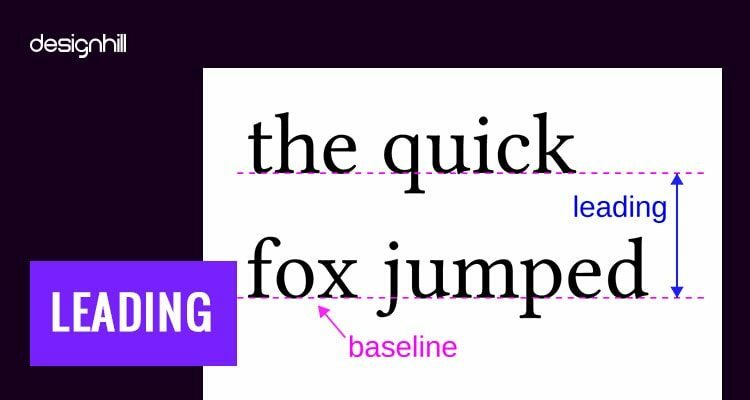 The space between the successive lines of type in a body of the text is called leading and has a vital role in readability of the copy. Correctly spaced lines leave a clean impact on the audience. In fact, it also alters the typographic color that is the density of the composition. 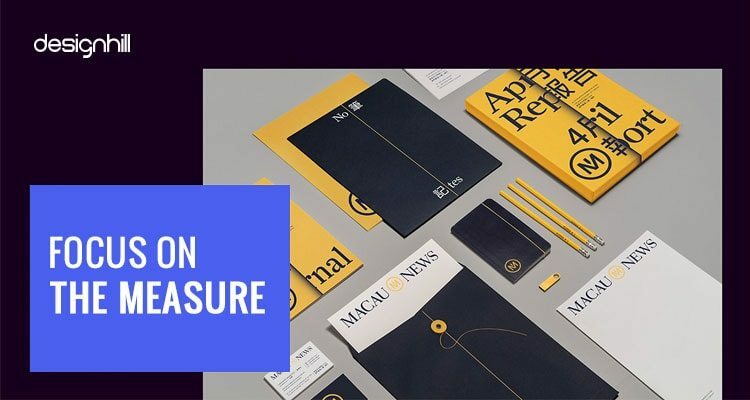 Type size, typeface, measure, weight, word spacing, case etc. are some of the factors which affect leading. The thumb rule is that longer the measure, more leading is required. The ideal choice is to set the leading at 2-5pt larger than the given type size but, keep in mind the typeface. 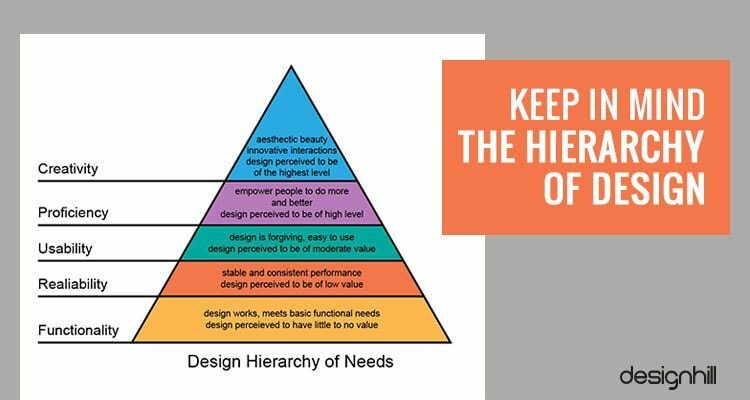 A well-organized design is said to have a good hierarchy. It makes easy to navigate and simpler to look for the required information. Typographic hierarchy is essential for a great design, majorly so for the text-heavy designs. Graphic designers of Designhill set up a basic hierarchy in the design for the magazines, newsletters, books and other print advertorials. They prioritize the information by importance and segment them with different text size. An easy-to-scan structure is created with the help of sufficient spacing and grouping of the related texts. Headings and subheadings are clearly marked to make the design neat. It is mandatory to maintain a consistent typographic rhythm on any given page. Designers take the baseline grid as the foundation and follow the pattern. 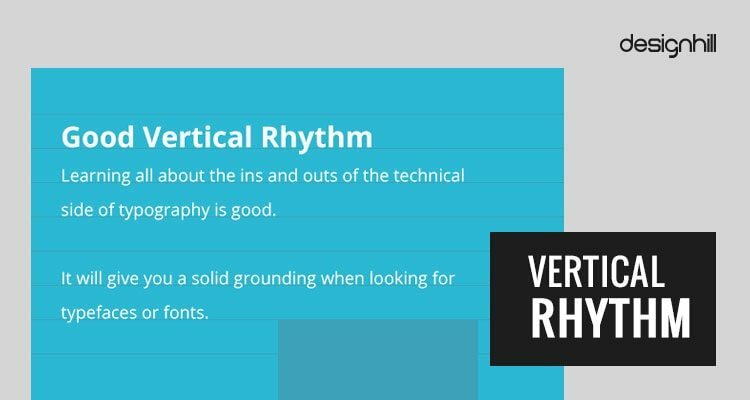 A continuous rhythm of the copy in the vertical space increases the readability. A consistent grid with perfect proportion and balance through the page improves the design through typography. For a vertical rhythm in CSS, the designer has to keep the spacing between elements and the leading in equal measure to the size of the baseline grid. Details in typography can either make the design or break it. Spacing and alignment are the two factors that make a difference between a cluttered and orderly design. A consistent amount of horizontal space will make the text look looser or tighter in overall capacity. A common technique for saving more space in designs is to decrease the tracking. This, however, should not be confused with margin. The blank space around the edges creates an intentional effect on the text. This is enhanced with the appropriate use of white spaces. Balanced, organized design should have enough white space for the convenience of the readers. The use of typefaces in a balanced way to tell a story is a work of professional and experienced graphic designers. They have their unique ways of using letters in a logo design or any other graphic design work. You can access inspiring ideas for the use of typefaces in a design from crowdsourcing platforms like Designhill. At this marketplace, your business can have an impressive logo, business card, etc. with great use of typefaces. 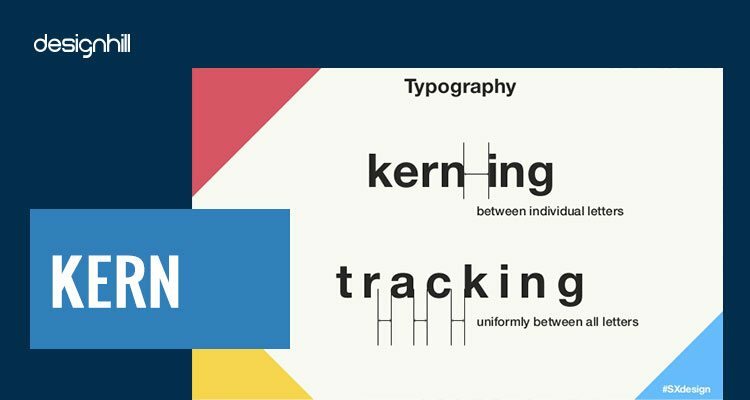 Not to be confused with tracking, kerning is the amount of space between a single pair of letters and other characters. However, most of the time it is overlooked and is often the last thing which is checked in a typography. Every font has default kerning design with it, which is why the setting is not always perfect for the letter combinations. Large, visible typography, specially for the headlines should go through a visual check so that the cohesion is maintained amongst the letters. Typographic faux pas is one thing that makes a great design look disastrous. Ellen Lupton, the expert author of Thinking with Type advised, don’t stretch words or letters, forcing them to fit into a space. Avoid using fake italics, that is if a font doesn’t have italic style it looks saddening if designers apply a slant effect to the font to give it a pseudo-italics look. 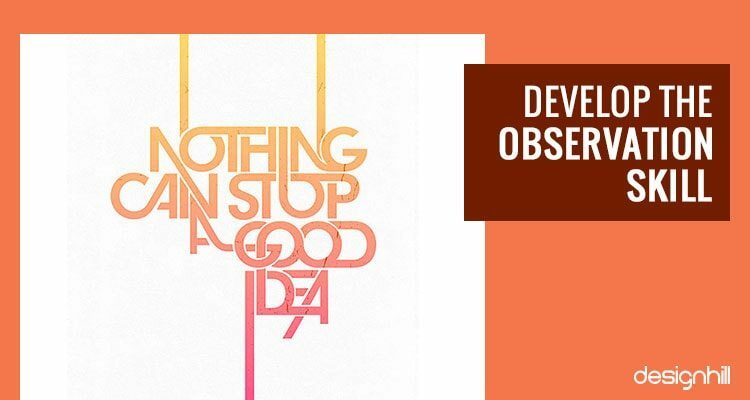 Typography do not stand alone in a design, it is heavily dependent on the background color. For a text to be prominent enough, sufficient contrast is required. For this, do not use clashing colors. Also, just to make it visible, do not use strikingly bright neon colors without purpose. Tone down contrast if required. Busy backgrounds at times frustrate viewers, as they cannot find information amidst all the patterns. Fun text treatments can include warping, transparency effects but they should have a certain purpose. One of the most practical points is to pay attention to the latest trends in the best designing deals. What will go with typography poster will definitely be the same for a domestic design. From supermarket shelves to newsletter designs, there is something to learn from each of them. Developing an eye for the design is essential in the making of a great designer. 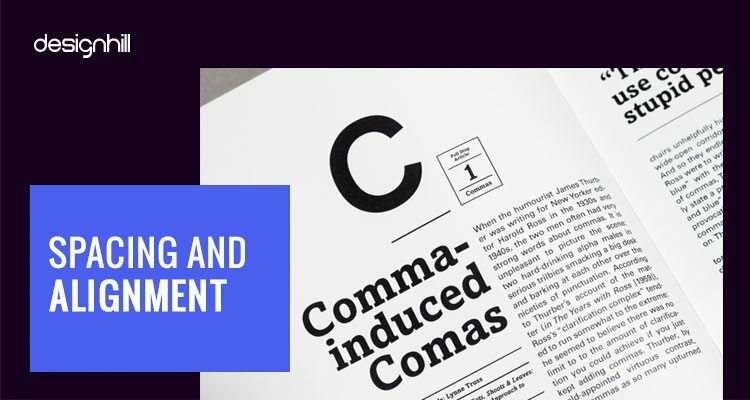 When using typography in logos, and other graphic designs, pay heed to spacing between letters and their alignment, mood of the content, vertical rhythm, measurement, and many other aspects. Come out with your own unique way of arranging those letters to create a meaningful design.